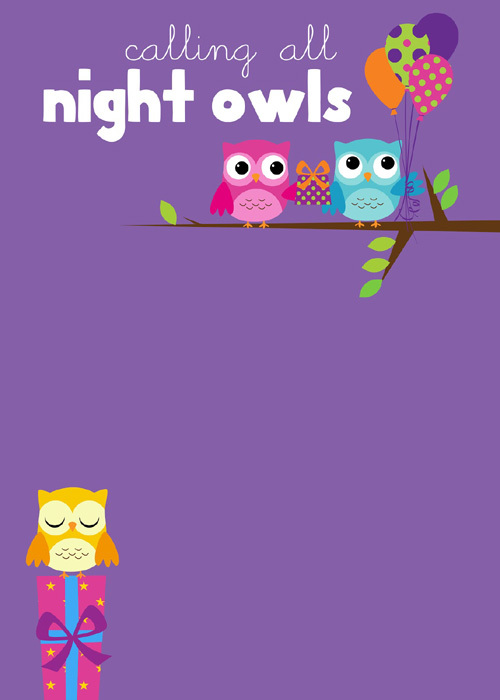 These printables will come handy if you are planning to throw a sleepover party for your little girl. 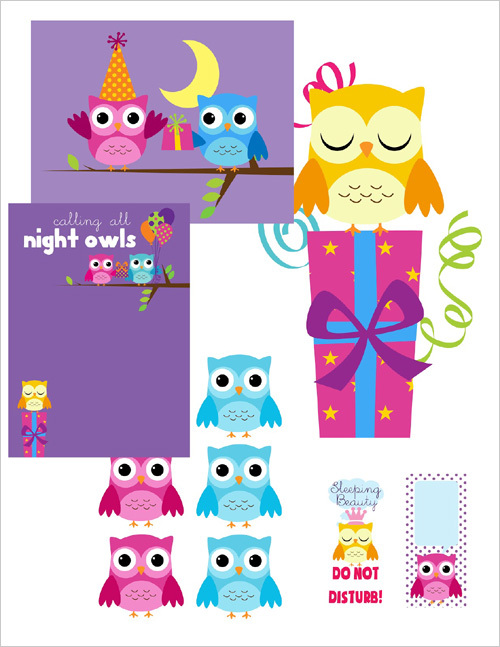 Nancy of the blog My Cotton Creations designed these "Night Owls" themed printables when her daughter turned 9 and wanted a sleepover party with her friends. 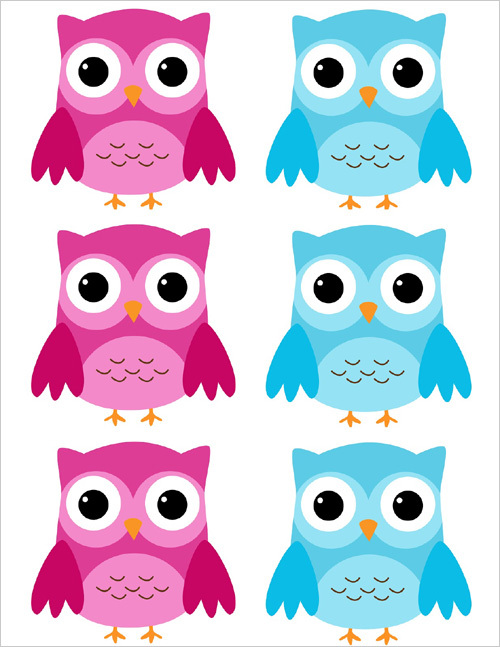 The printable set includes invite with space to add venue, time etc., table decorations, door hanger and treat bag toppers. Go to the link given above for more pictures of the party and to download the freebies!